We are pleased to send you the third issue of the Industrial Newsletter of the NCCR MARVEL, the Swiss Center on Computational Design and Discovery of Novel Materials, funded by the Swiss National Science Foundation. With EPFL as the leading house, MARVEL is currently involving 35 principal investigators across 12 Swiss academic institutions. We are interested in developing broad industrial partnerships focused on the discovery of materials with specific properties or on new methodological approaches, over a medium- to long-term perspective. Do not hesitate to contact us for more information. You can also follow us on Twitter, at @nccr_marvel, or play around with the ever growing amount of data, services, and tools available on the Materials Cloud (http://materialscloud.org). 2. you are receiving this newsletter because you have been in contact with MARVEL or have subscribed to it. If you think that you have been involved by error or if you no longer wish to receive it, you can unsubscribe using the link at the bottom of this email. Let us know if you also want to have your data removed from our database. Materials Cloud (www.materialscloud.org), a new web platform developed to help computational materials scientists share their work and promote open science, may also offer advantages to industrial partners more concerned with IP. 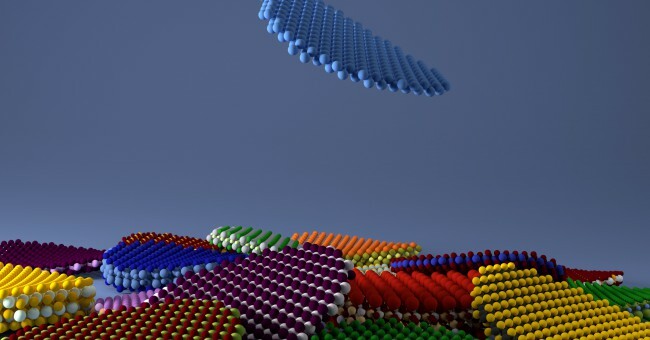 Two-dimensional materials, such as graphene, are a new and exciting class of materials. No more than a few atomic layers thick, they have the most extraordinary properties, making them attractive for all kinds of applications. However, despite high expectations, progress in identifying new 2D materials has been slow: to date, only a few dozen have been identified experimentally. In their just-out Nature Nanotechnology paper, which made the cover page, "Two-dimensional materials from high-throughput computational exfoliation of experimentally know compounds", a team led by MARVEL director Nicola Marzari takes a computational route towards improving that count. The latest version of AiiDA 0.12.0 is available!